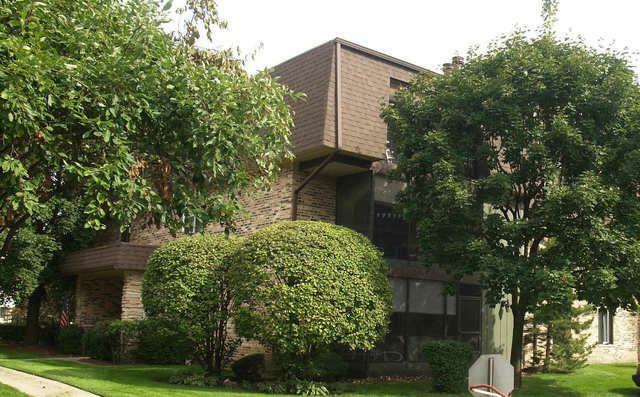 Beautiful third floor condominium located in Woods Edge community! Rarely available 3 BR, 2 bth unit.. Spacious, open layout, 3rd BR has sliding door that opens to the LR w/wood burning fireplace. DR, Updated Eat-in-Kit w/breakfast bar. Master BR has own bath & large walk in closet. Unit has laundry room w/new washer, dryer, WH 2018. Screened in porch has additional glass panels making this a great 3 season room. Central air, loads of storage, plus 2 outer storages on balcony, one is large enough to use for work. Neutral decor, ceramic tile, pool, clubhouse & 1 car garage. Great location, be in the Forest preserves, or at MoraineValley in minutes! I-55 & I294 can get you downtown or to O'Hare airport minutes too!. FHA and rentals are ok, but there is a waiting list for rentals. Move in ready, come see this one SOON! Owner moving out of state, so all furniture is negotiable also!